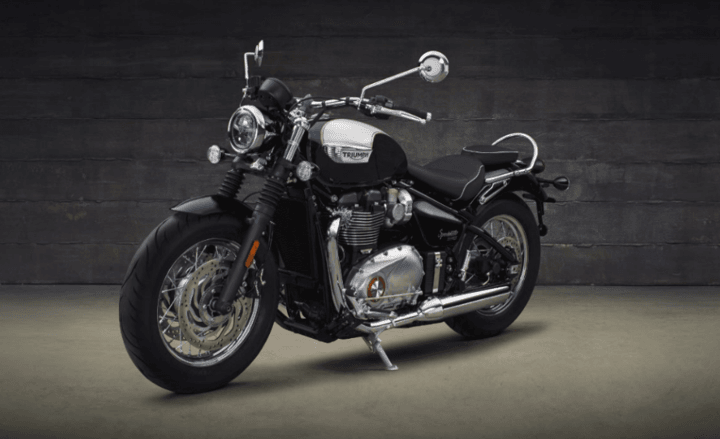 The Triumph Bonneville Speedmaster is the most affordable Triumph in India. It is based on the Bobber platform and hence shares its chassis and engine specs with the former. However, the Speedmaster does offer a pillion seat. 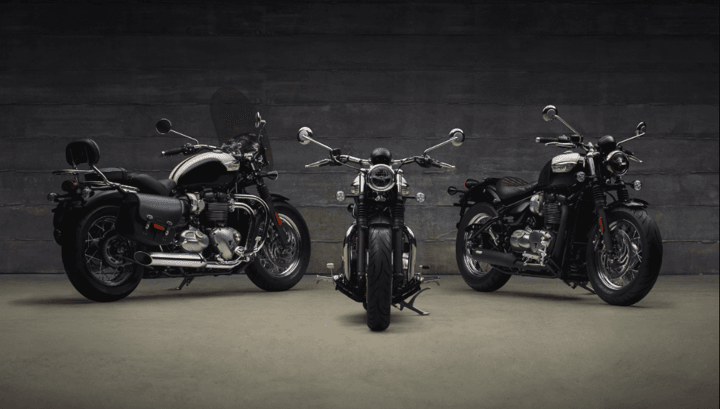 The Triumph Bonneville Speedmaster has made its official debut in India today. It will cost INR 11.11 lakh (ex-showroom). This makes it the lest expensive Triumph motorcycle currently on sale in India. The Bonneville Speedmaster is based on the Bonneville Bobber. The Speedmaster shares get the same engine which currently powers the Bobber. The design language of the Triumph Bonneville Speedmaster is a perfect combination of classic British cruiser and the Hanging Ape cruisers of America. The major point of difference between the Speedmaster and the rest of the Triumph cruisers is that it comes with a pillion seat. Not only this, this bike also offers a more laid-back ergonomics. 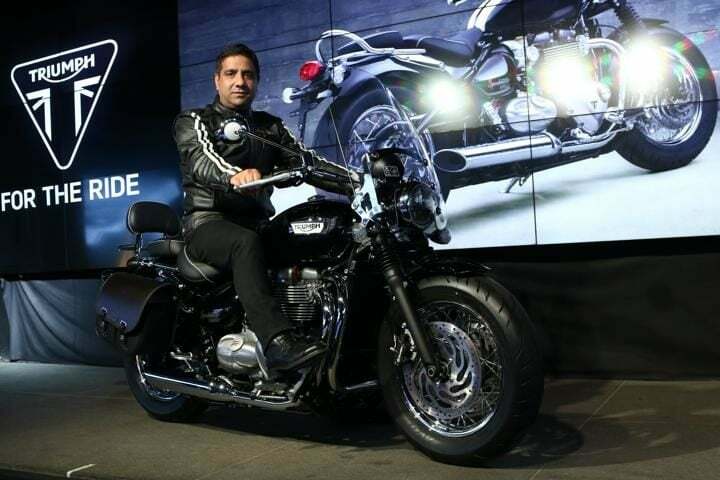 The Triumph Bonneville Speedmaster costs INR 11.11 lakh (ex-showroom). It comes in a single variant. Triumph dealers have already started accepting bookings for the Speedmaster. Deliveries will commence in a few weeks. As the Speed master is based on the Bobber, it comes with several factory custom features. It gets a signature hardtail look, classic drum brake inspired rear wheel hub, minimalistic bodywork along with slashed cut exhausts. The Speedmaster, just like other Triumph bikes boasts of the classic Bonneville aesthetics. It comes with retro-themed carb-styled throttle body covers, rubber fork gaiters, brushed engine covers along with special bronze 1200HT badging. Despite featuring the Bobber look, the Speedmaster offers a laid-back riding position for two people, ideal for long-distance cruising. The Speedmaster is powered by the same engine which does its duty on the Bobber and the T120 albeit minor differences. It gets a parallel-twin engine. This motor belts out 76 BHP along with 106 NM of peak torque. Triumphs say that it produces 10 percent more torque than the Bonneville T120 and 2 percent more than the Bobber. However. 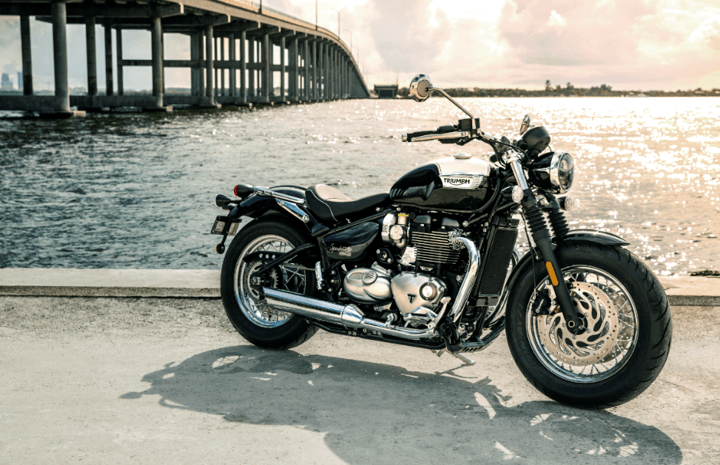 the Speedmaster weighs 245.5 kgs, making it the heaviest in the Bonneville series. It gets a 6-speed transmission. The Triumph Speedmaster gets ABS along with two-riding modes for Road and Rain. It also comes with switchable traction control, ride-by-wire and a torque assist clutch. Also offered are traction control and engine immobilizer. The cruiser comes with a smaller rake angle and is assisted with 41 mm KYB forks up-front. The rear gets a KYB monoshock. The bike underpins a tubular steel cradle frame. Other features include 16-inch, 32-spoke classic wire wheels which are fitted with specially developed Avon Cobra Tyres. The bike comes with 310 mm disc brake at the front while the rear feature 255 mm discs.